Make your first-ever real money deposit and get 100% bonus up to $750. To earn your deposit bonus you must earn a required number of RP’s (Rating Points). You can see all your earned RP’s in Cashier menu of Poker MIRA client software. The bonus is released in $10 increments, each released into your account as you earn the needed RP’s (150RP’s for every $10 increment). Please notice, you have 180 days after your first deposit to earn all RP’s needed. We wish good luck on Poker MIRA tables! Poker MIRA is happy to provide you with daily $25, $50 and $100 freerolls. Freerolls run at 2:00, 8:00, 12:00 and 21:00 Moscow time (daily), and at 00:00 specially for You $150 Freeroll! sorry indeed Poker Mira is closed for USA players. In return I can give you $ 3 for another PokerRoom that accepts U.S. players. Did you not receive a bonus $ 3. 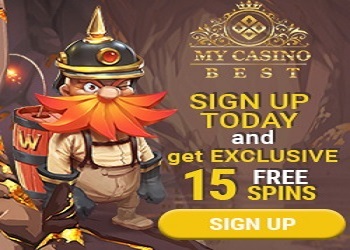 Write e-mail (support@pokermira.com) it will add immediately. i dont have bonus... i created yesterday acount. I must send email to support ? damakierr wrote: i dont have bonus... i created yesterday acount. I must send email to support ? Very sorry indeed Poker Mira is closed for USA players. Can I get some of that action, too? Yes, (You must be from U.S.) I sent you a private message with details. I am brand new here and the first darn promo I try is, "NO U.S.A." Do I understand correctly that you may have an alternate poker room promo, that is U.S. friendly? Thank you. GMAANN77 wrote: I am brand new here and the first darn promo I try is, "NO U.S.A." Do I understand correctly that you may have an alternate poker room promo, that is U.S. friendly? Thank you. and at 00:00 specially for You $150 Freeroll!--- i dont see! Oleksiy wrote: and at 00:00 specially for You $150 Freeroll!--- i dont see! Hello everyone, I'm here for a long time, I also began to withdraw in 1 day. I do not know what it is connected, but it is much better than waiting a couple of days. good and honest poker room. Good poker software/site but full of fish this can be great but a pain when they shove 23 off and make a straight ruining your aces. Play tight here folks!